The Mat is the foundation of Classical Pilates. 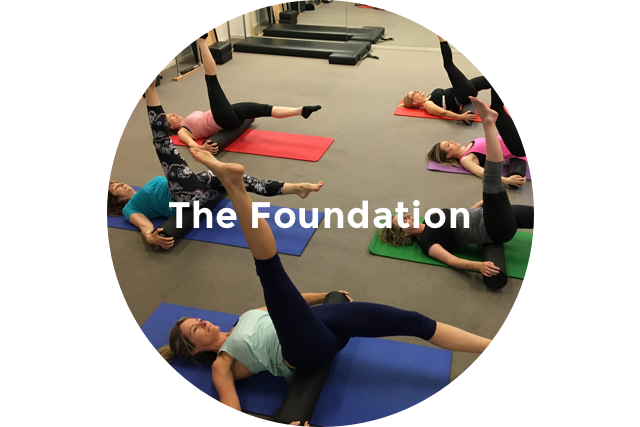 It is where everyone starts and must continue their Pilates journey. It is in Mat where you gain all your fundamental Pilates knowledge and being accessing total control of your body. 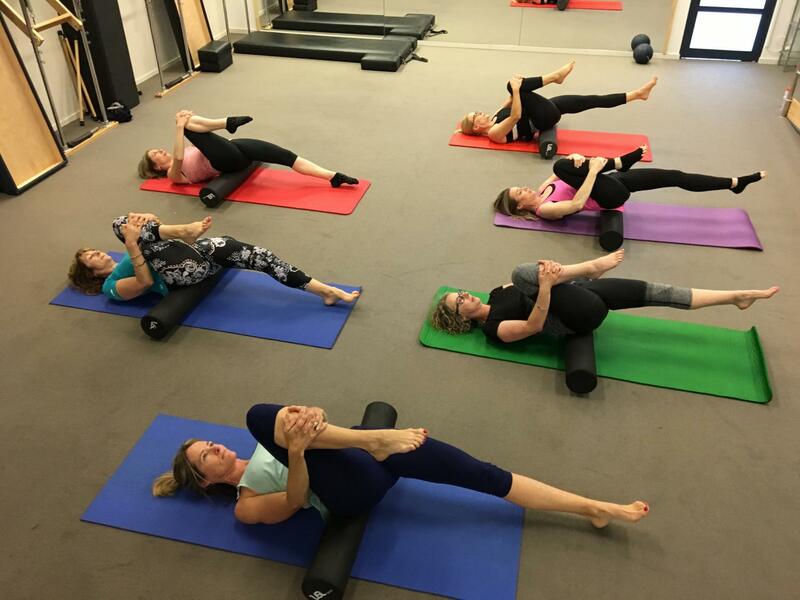 Clients are encouraged to take a one-on-one class before commencing Beginners Mat classes, to understand the terminology and to familiarise themselves with Classical Pilates before commencing classes. These introduce you to the principles, phrases and foundation exercises used in Pilates. Beginner Mat raises awareness of posture, breathing and controlling body movement, and introduces some challenging exercises. For those who have mastered the beginner exercises with control and proficiency. Intermediate/Advanced contains more challenging exercises and includes more props.